Mortal enemies who would argue with each other overcame their differences to seek Jesus. They came to test him, to find something they could use against him. However, their approach was not like someone who is propelled by true spiritual thirst. Instead it was pretty hostile. This is one of three reactions to spiritual thirst. We can fight against it — like the Pharisees or Sadducees. We can be indifferent to spiritual thirst – like I was. Or we can know we are thirsty and start seeking Jesus in Spirit and in Truth. 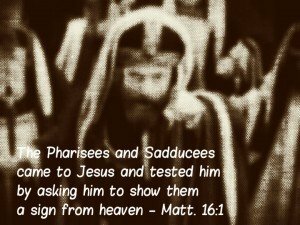 The Pharisees and Sadducees were different than me. They wanted a different sign from heaven. They were blind to the ones in front of them. They were spiritually blind. Do I know people like this? Are there people around me for whom I’m praying that are hostile to Christ? I can think of a few names. Before I met Jesus personally, I didn’t know much about Him. I was not hostile to Him. I was not opposed to him. I knew only that he was born every December 25, and died sometime in March, April, or May of the following year. That’s because our family only attended church on Christmas Eve and Easter with the occasional extra Sunday every few years. I tried to put the facts together every now and then, but the reality is, I had no clue. I was not hostile to faith. That was my level of spiritual thirst. This is grace and mercy in action. Jesus allows these opponents to seek His presence anyway. He hears their petition. He didn’t drive them away. He knew they were spiritually blind, that they wouldn’t listen. They lacked true spiritual thirst. This claim to a relationship is specifically addressed only to those who are spiritually thirsty. 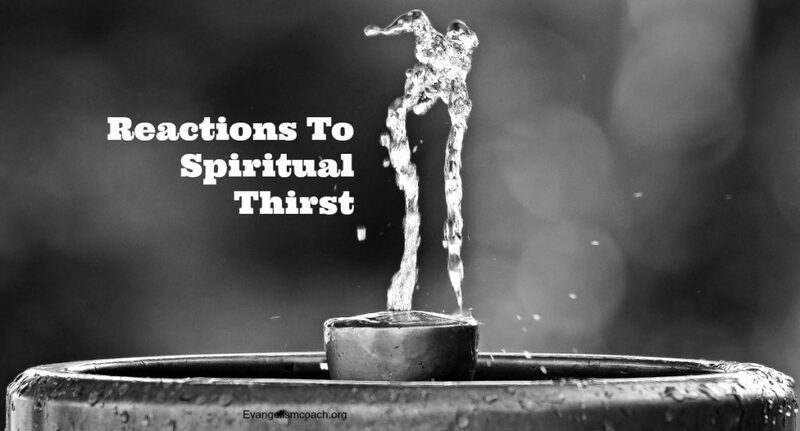 The best starting place for identifying spiritual thirst is to reflect on your own. You can also look for biblical examples.